This is a two-day workshop. Day one begins at 9am and finishes at 5pm, and will be followed by a social barbecue to give everyone the opportunity to discuss the events of the day. The second day begins at 9am and will finish by 3pm. Sore horses are limited to 8 to 10. There is no number limit for attendees. I’ll begin with an introduction to my horse philosophy and how to get the most out of the workshop. 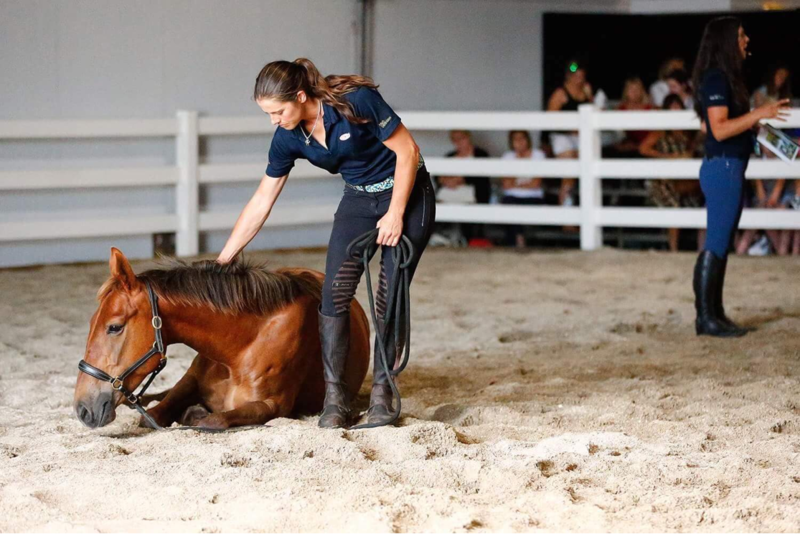 After this the workshop gets practical and hands-on, as I work through the issues that each horse presents. Discussion topics include teeth management, foot balance, the importance of saddle fit, sheath cleaning, massage and some basic techniques that people can take home with them. Where possible, l try to ride each horse before and after treatment, explaining what I’m feeling and how we can correct some of these issues at home.